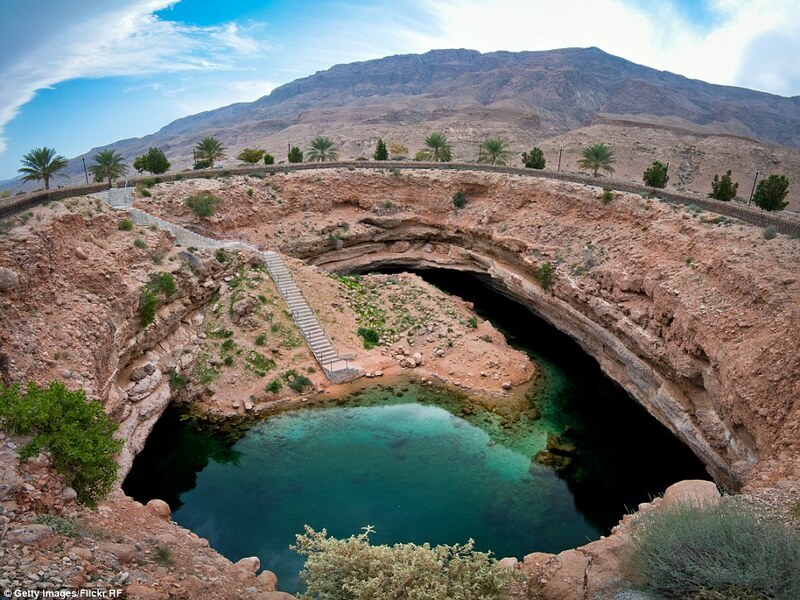 The Bimmah Sinkhole, located in Hawiyat Najm Park, actually meaning “Meteor Fall” Park in Arabic, is a sinkhole in Muscat Oman. Bimah sinkhole is beautiful natural landmark, the best place see in Muscat for refreshment at the long coastal road of Oman. 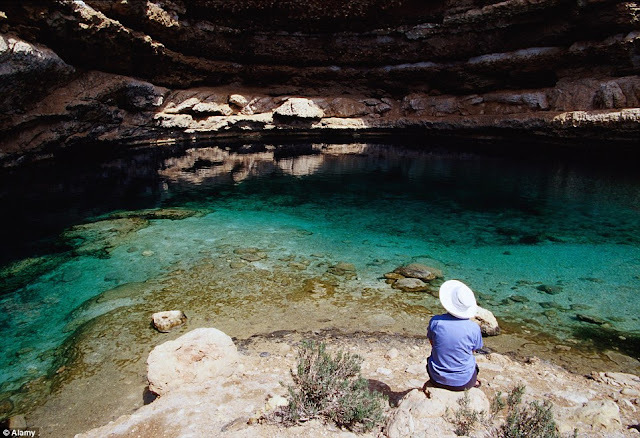 This exclusive sinkhole is so exquisite, as limestone hollow, in Bimmah, boasts the kind of clear waters normally only seen on holiday postcards. 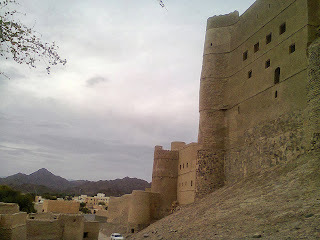 It is approximately 50 by 70 m large, 20 to 30 m deep. 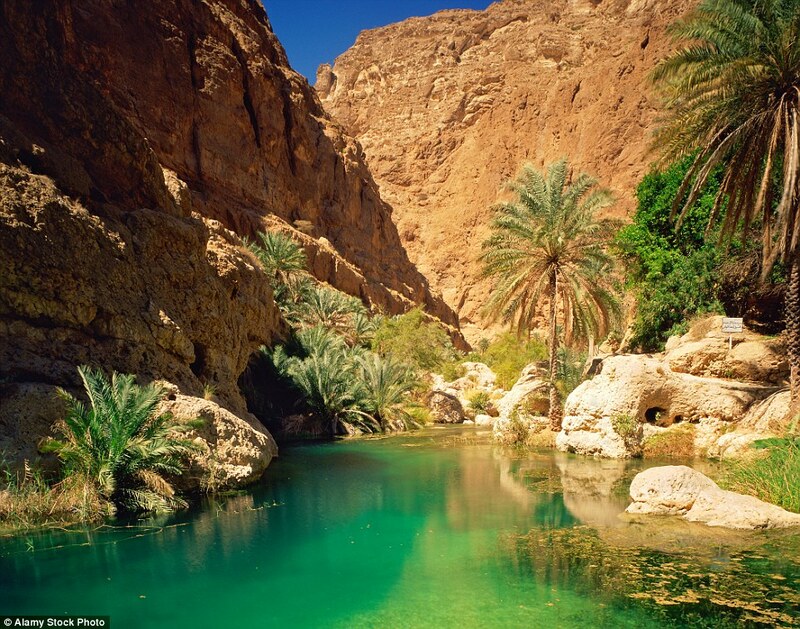 The crystal-clear waters provide one of the most picturesque swims in Oman. 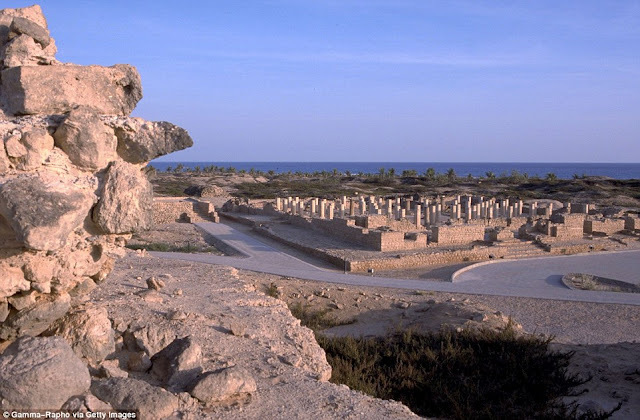 It formed so close to the sea because of the increased subterranean water flow that occurred down-gradient. 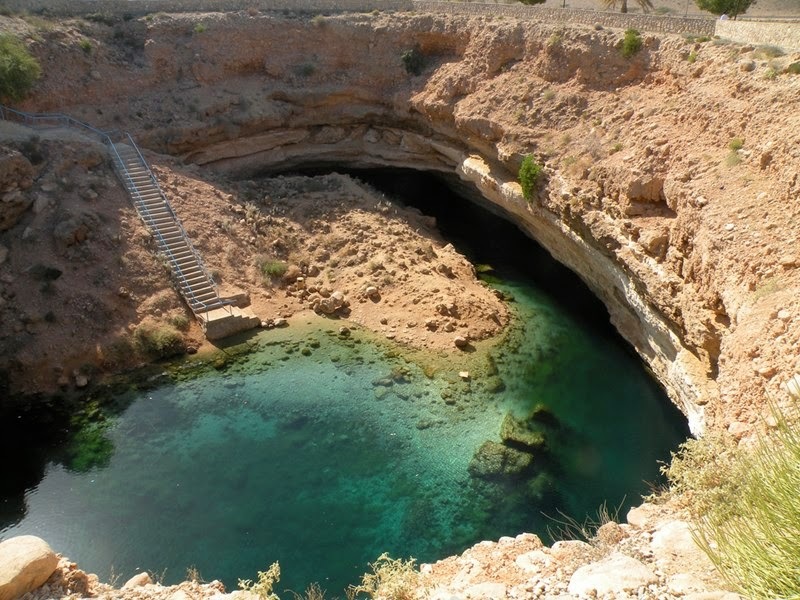 The sinkhole was formed with limestone by a collapse of large cave chamber. However many believed that this sinkhole was formed by meteorite ("piece of Moon"). 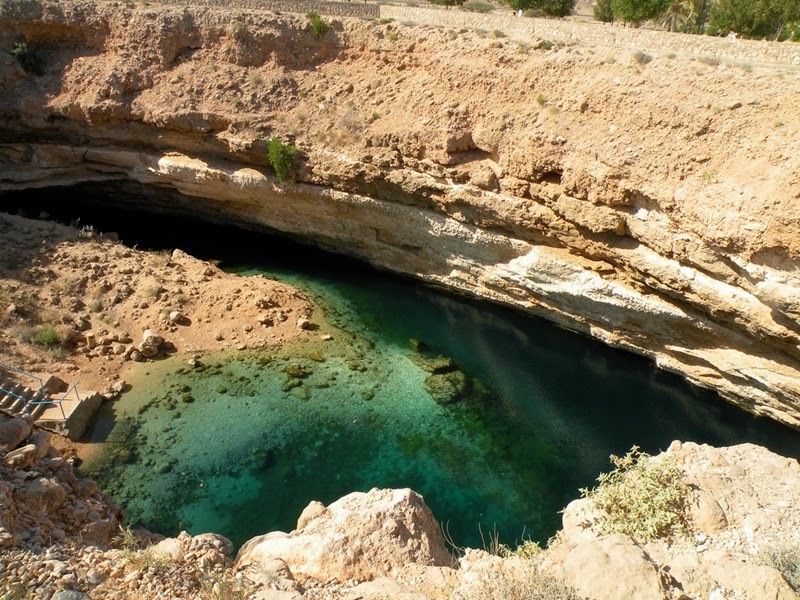 Moroever, at the bottom of sinkhole, one can see deep blue-green water with a heap of rock and remnants of the collapse. 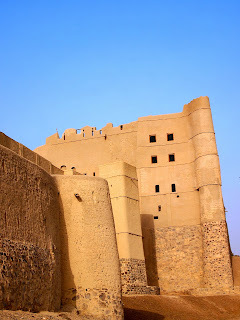 When the roof of one of these caverns collapses, the land above it falls in too, leaving giant holes. When groundwater flows through these rocks, it eats away at the rock, leaving behind subterranean holes and caverns. 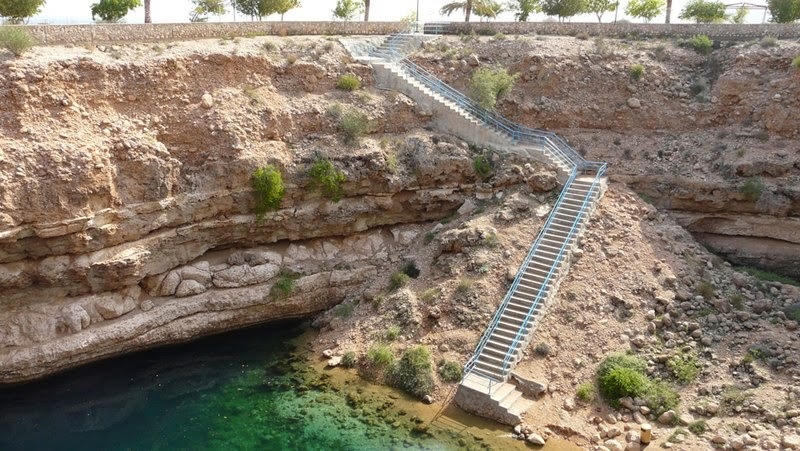 The government has developed a park around the sinkhole, built concrete stairway leading to the lake. It’s a refreshing lake to take bath for Locals and tourists. It is well thought, that sinkhole is connected to the 600 m distant sea. 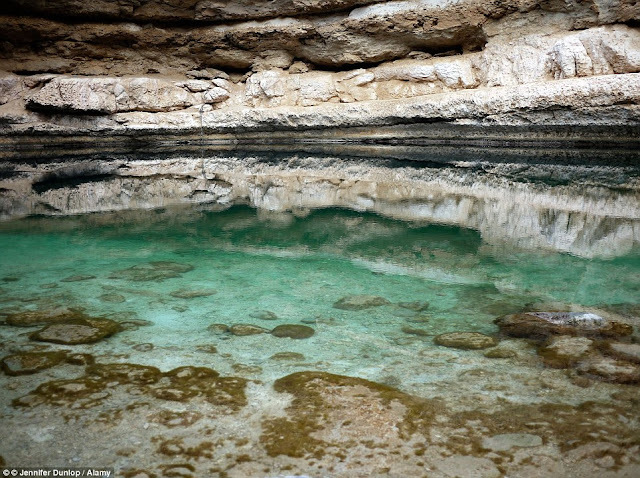 Because the top layer of lake is crystal clear, but at the depth of some 8 m water has sulphuric taste due to sulphur oxidizing bacteria and is less clear. 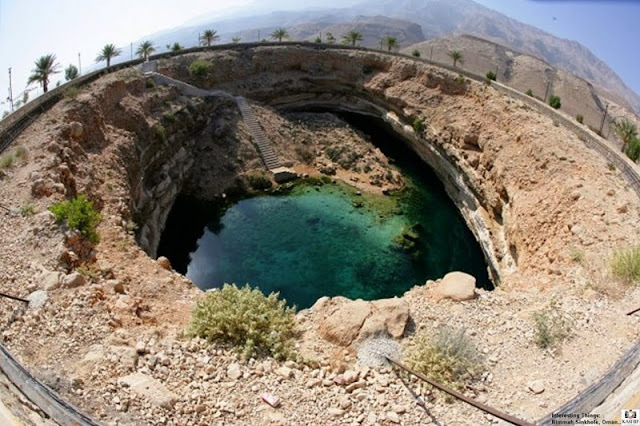 Though similar holes engulf residential streets or open up in front of despairing home owners, the Bimmah sinkhole has long been attracting tourists eager for a picturesque swim. 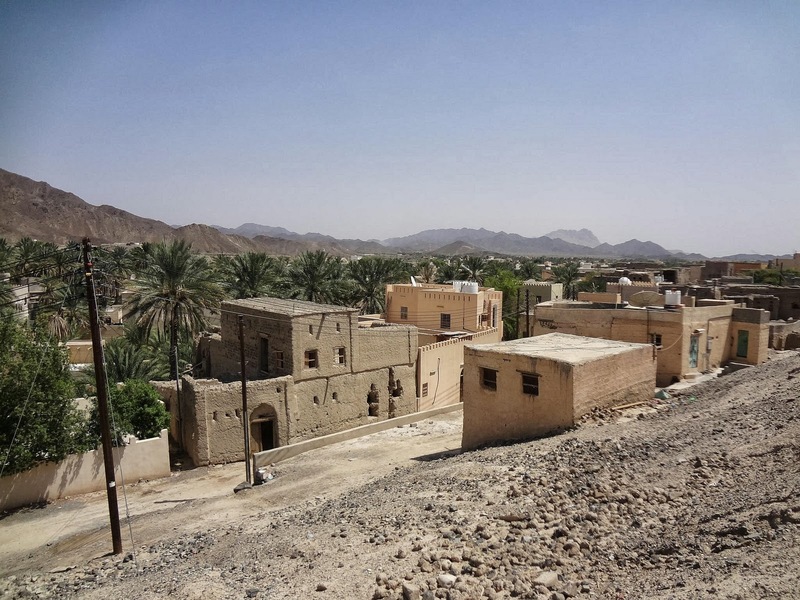 The jungle of Oman’s revealed in a series of photographs, which is incredibly pop-up forest in desert only blooms for three months in a year. The oasis is located on a 155 mile stretch of land same to the length of Jamaica and at its deepest, the monsoon only extends about 18 miles from the shore. 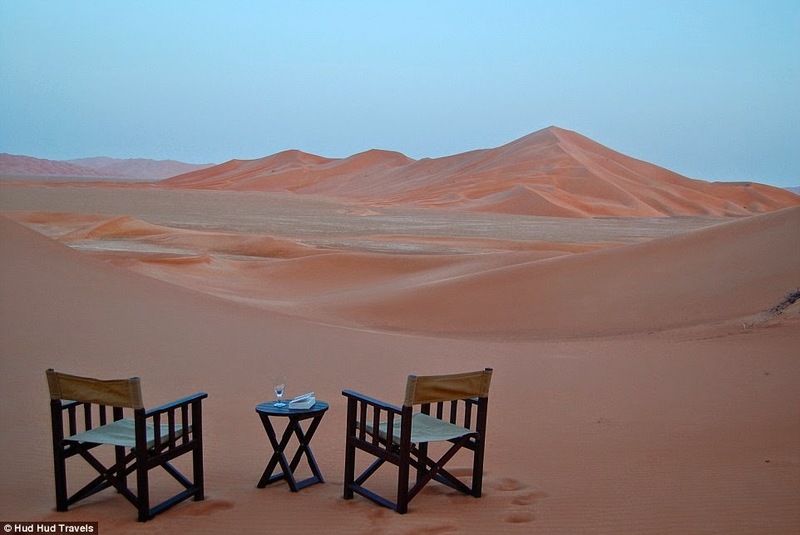 The Jungle of Arabia has amazing overnight transformation from arid desert to breathtaking rainforest. 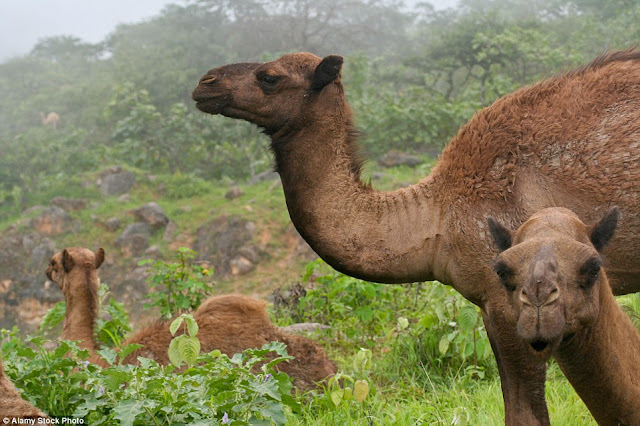 The sensation once in a year is really incredible to see from the end of July to the beginning of September, mainly known by Salalah Khareef, or the Salalah Monsoon, transforms a massive tract of land seemingly overnight into a striking emerald haven for locals and animals (including hundreds of camels). 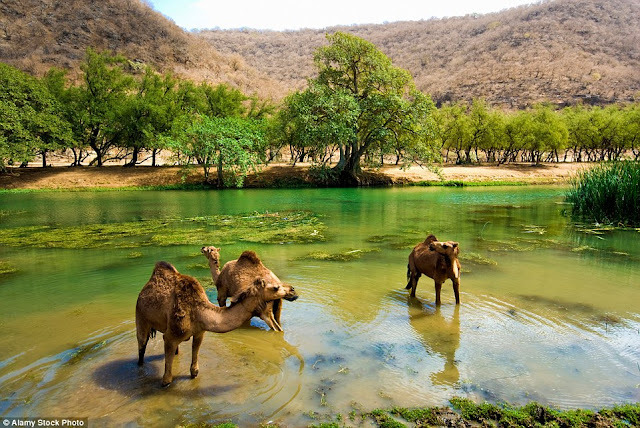 The average temperatures drop from a burning 50 degrees to a cool 20, however dry conditions nine months of the year means that Salalah does not have enduring lakes or running rivers - nonetheless during the monsoon waterfalls can be seen flowing over the cliffs. 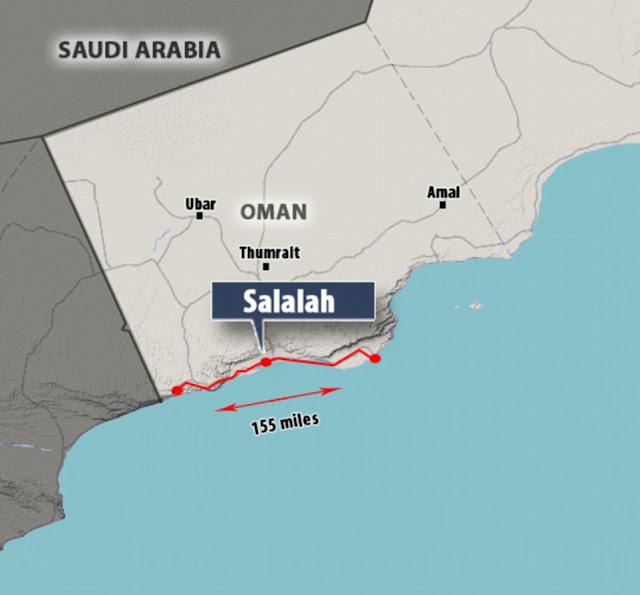 Therefore, on the grassy hills of Salalah live the Jibbali people who have be inherent in there for hundreds of years. 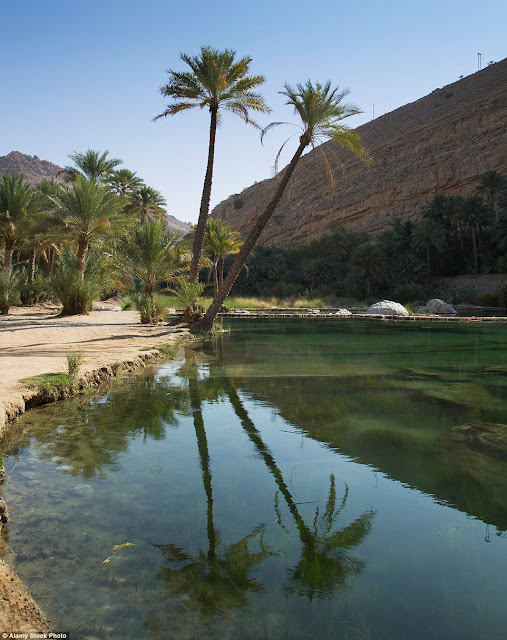 A landscape architect Andrew Anderson at the Oman Botanic Garden sharing his experience, even the fog sometimes becomes so thick that you cannot see your hand in front of your face. The forested slopes of the escarpment are a true global marvel for 9 months of the year, although, they’re mostly barren and leafless, but during the monsoon, they turn into an amusing, green, sub-tropical forest, dense with vegetation and dripping with moisture. 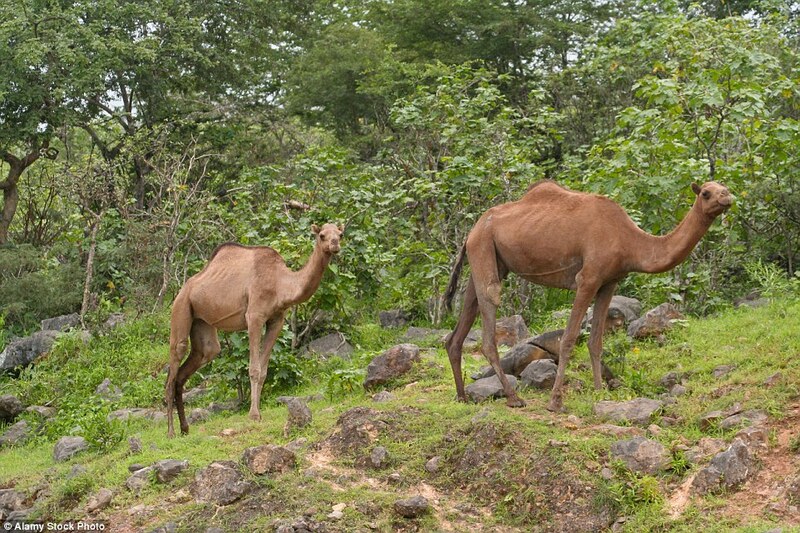 Indeed, this is scientifically a cloud forest but it is the only area in the world where this rich, wet cloud forest transforms to and from a dry, arid environment. 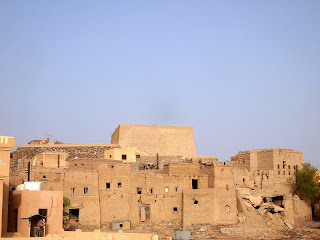 After three months the land reheats and turns back into its dry and dusty former condition. 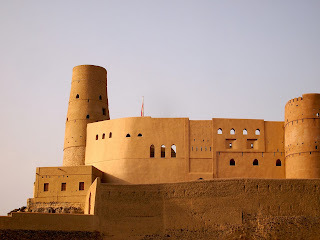 Sultanate of Oman "Les Mille et Une Nuits"
Film shot with a Sony 4K Ax100 through the wonderful Oman sultanate. 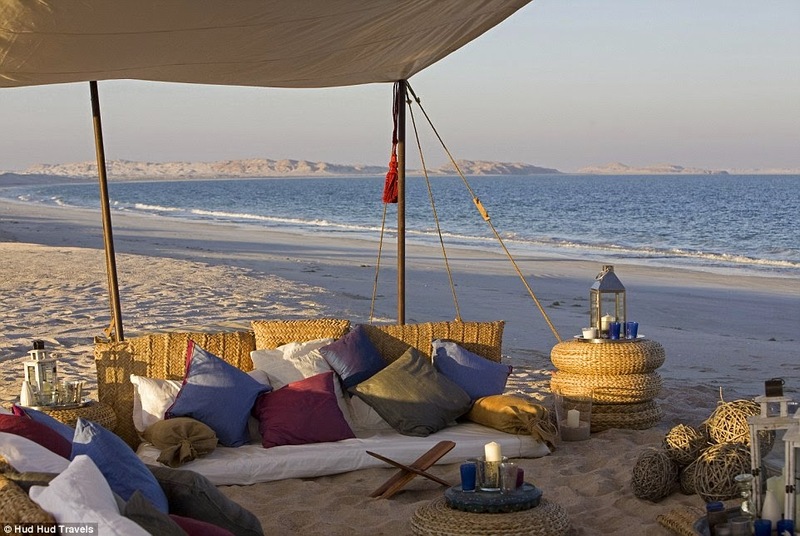 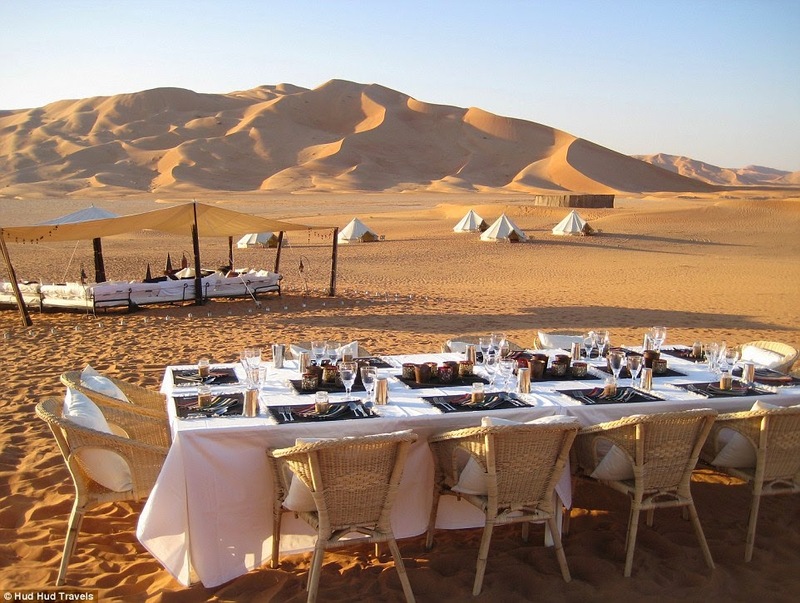 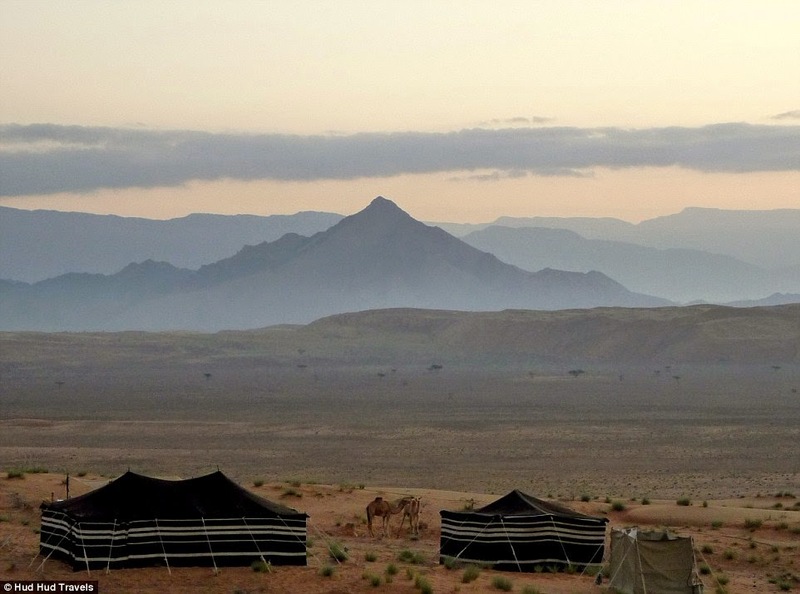 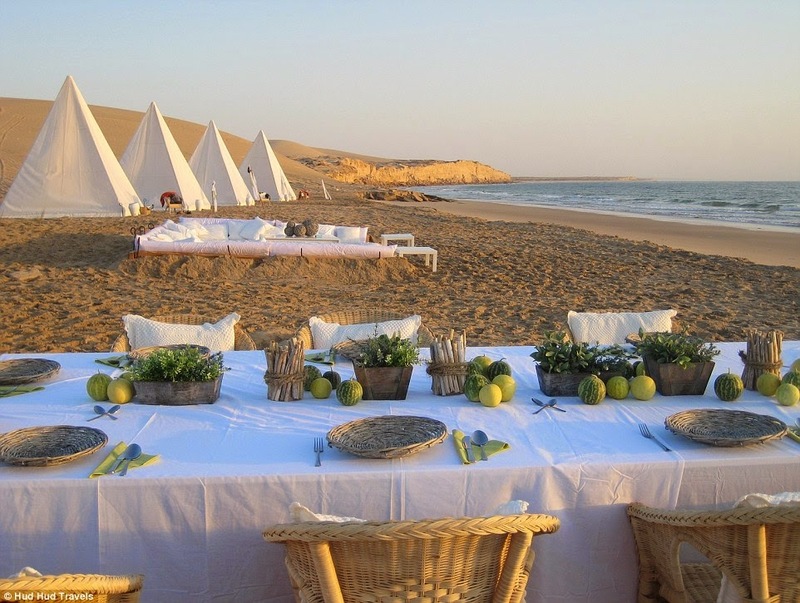 Sultanate of Oman - "Les Mille et Une Nuits"
Bedouin tents with Arabian tapestries, sushi dinners and luxury showers is this the most luxurious desert camp in the world. 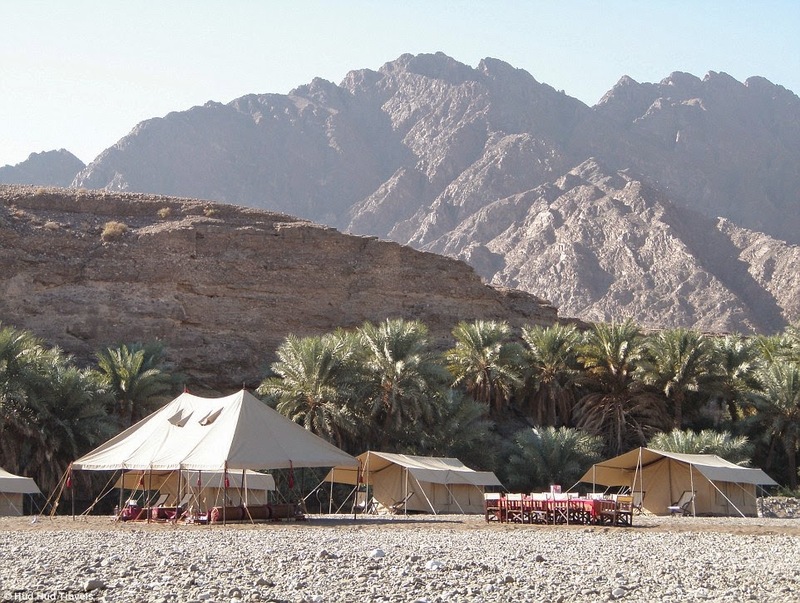 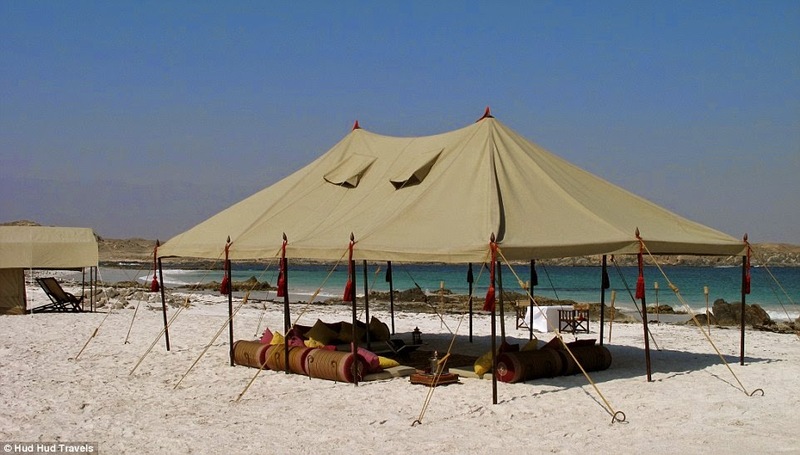 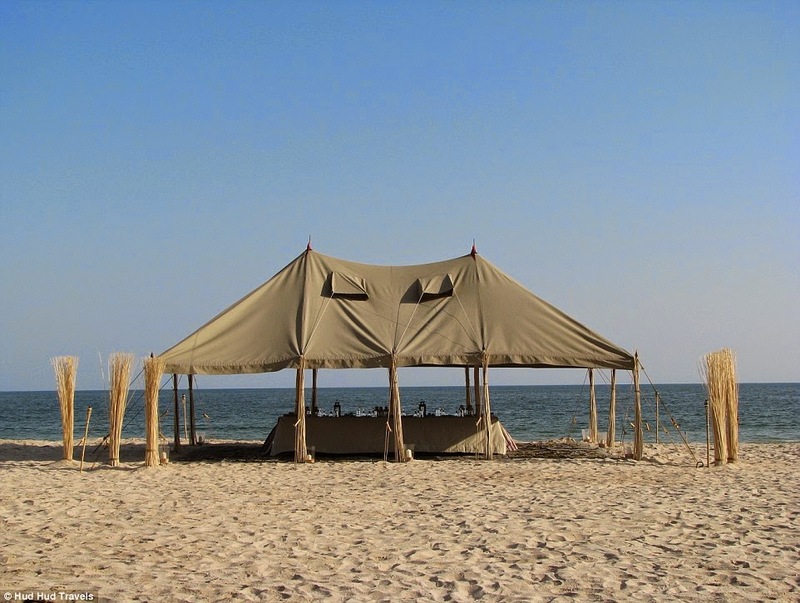 A company in Oman has introduced an idea of heading deep into the desert to camp under the stars has been given the ultimate upgrade. 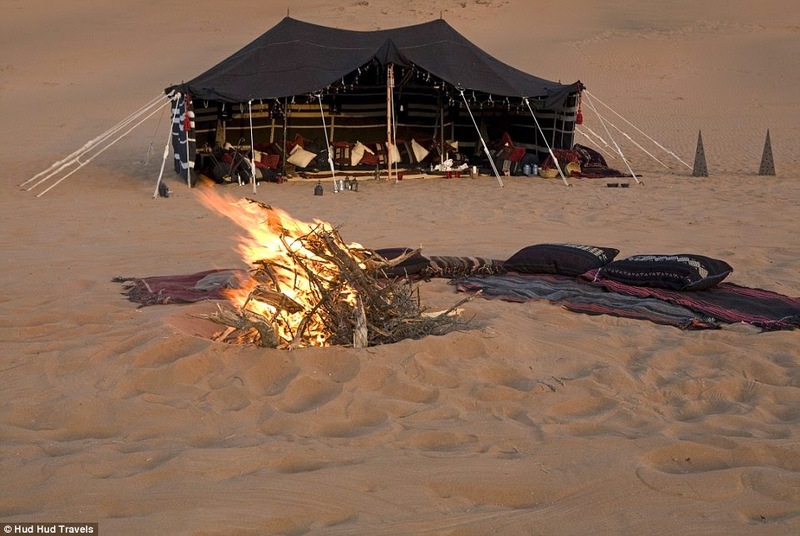 Stop sleeping in cramped tents and eating food cooked on a gas stove. 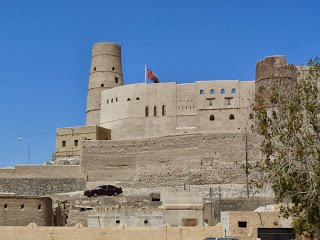 It is located about 5 hours south of Muscat, tourists often reach the spectacular remote area, where guests can explore sand dunes, meet local fisherman, and spend time with the flamingo’s native to the area. 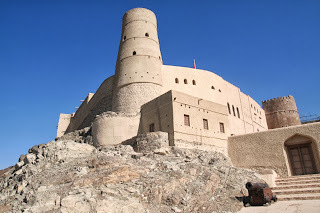 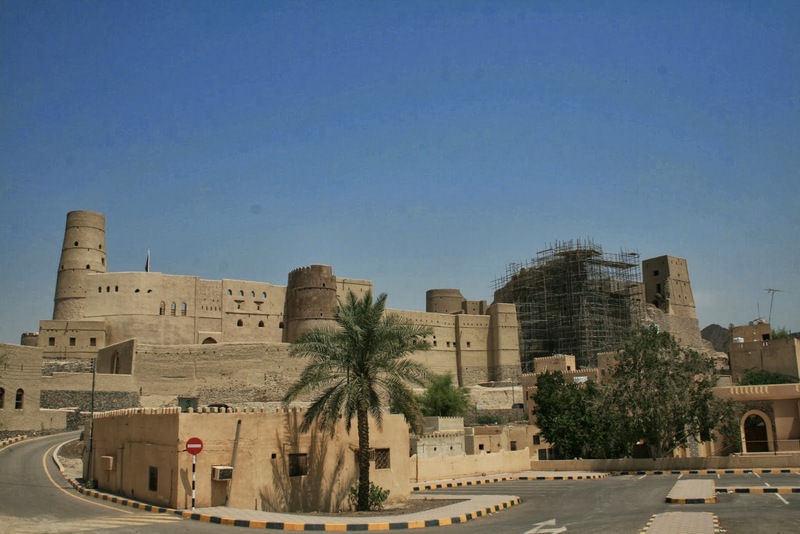 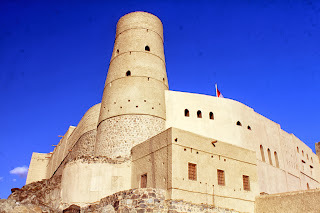 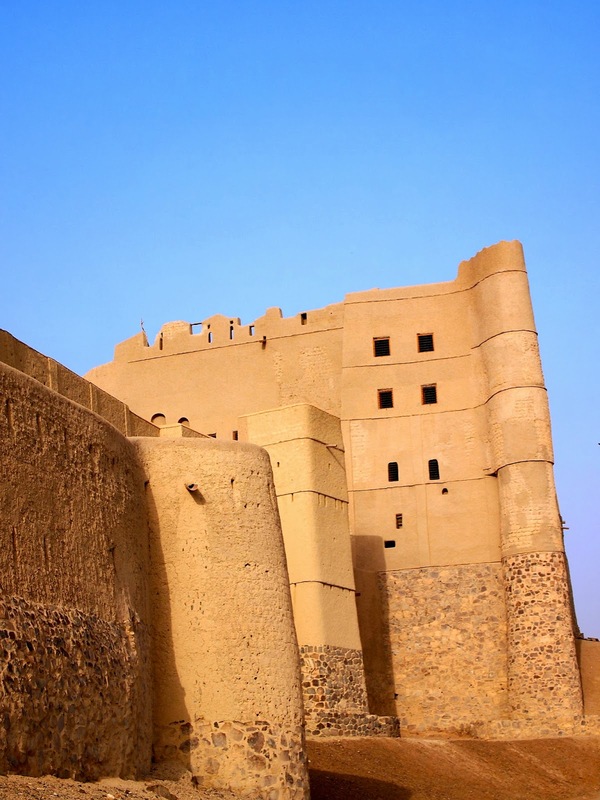 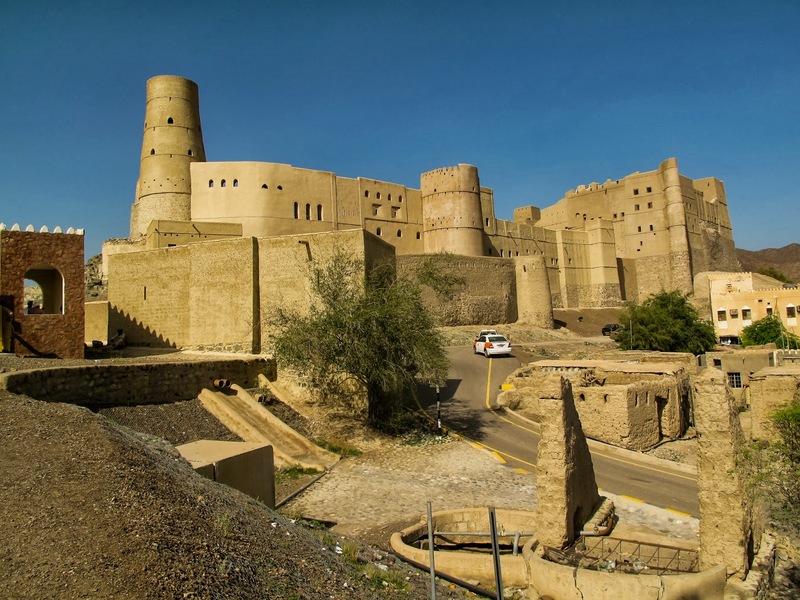 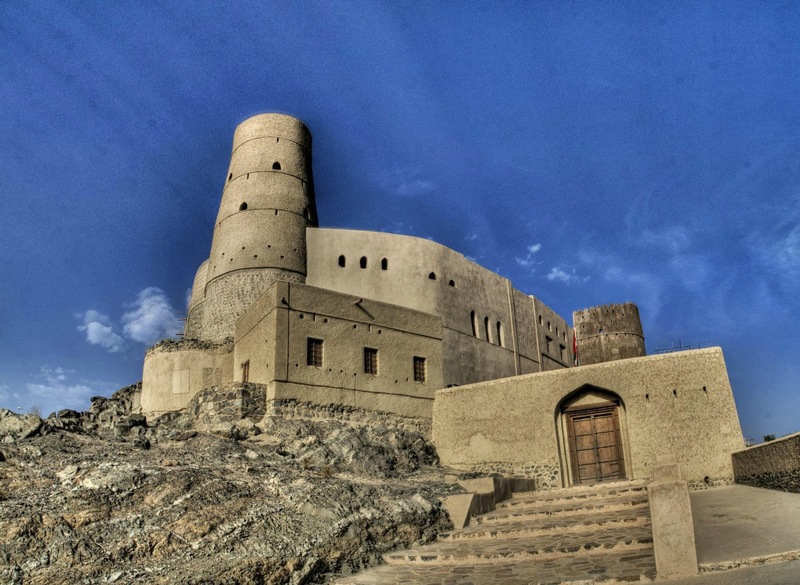 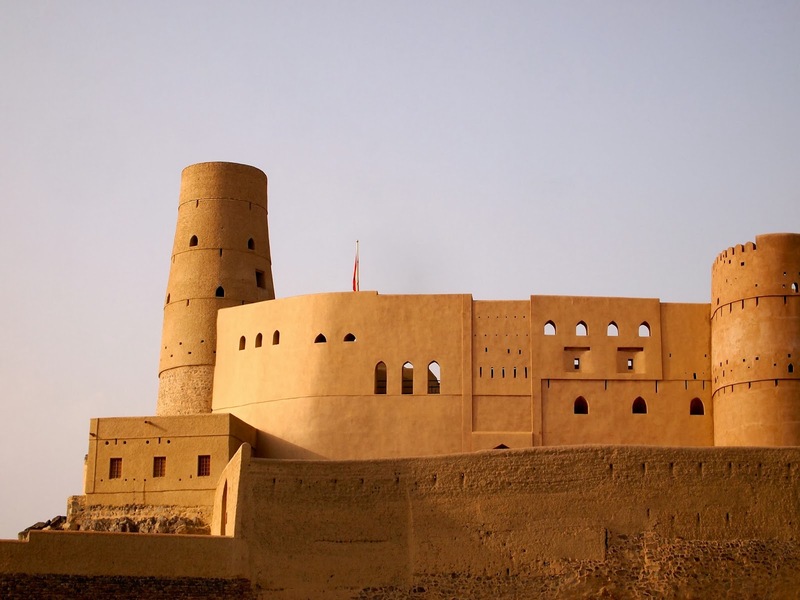 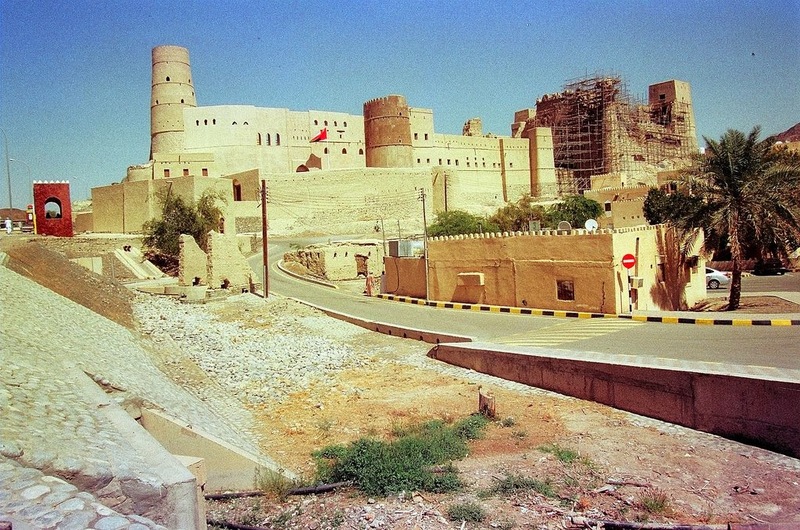 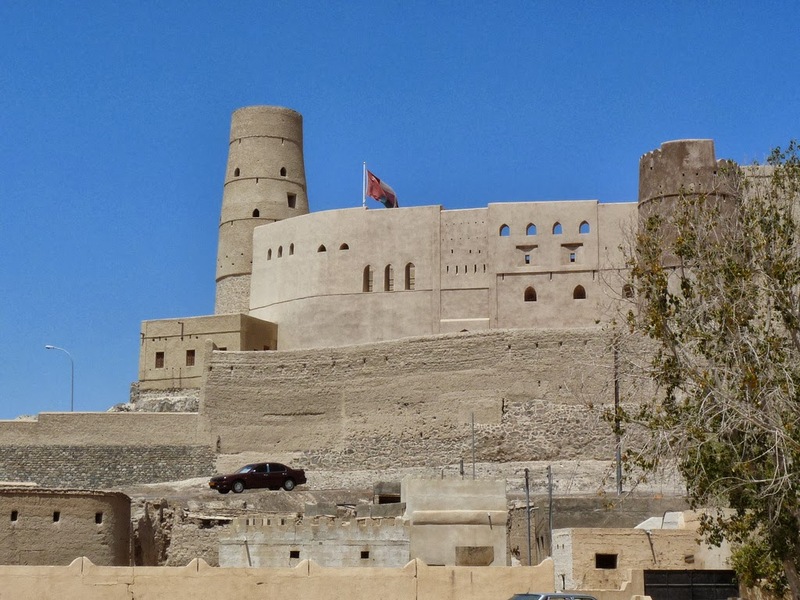 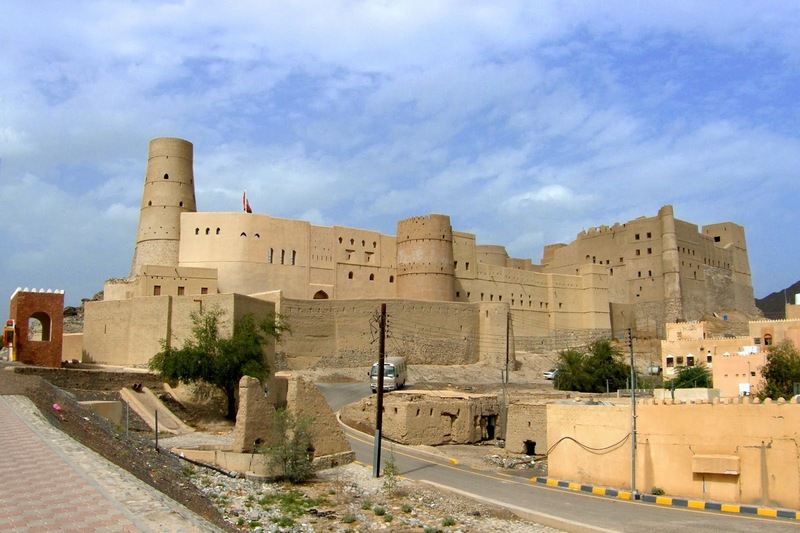 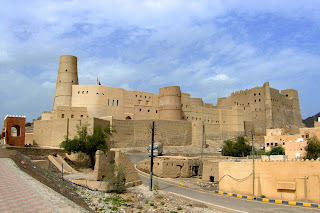 Therefore several tourists have visit the far-flung Arabian Peninsula just to experience the capital city of Muscat, offering an opportunity to sample a taste of rural Oman without sacrificing any of life's little luxuries. 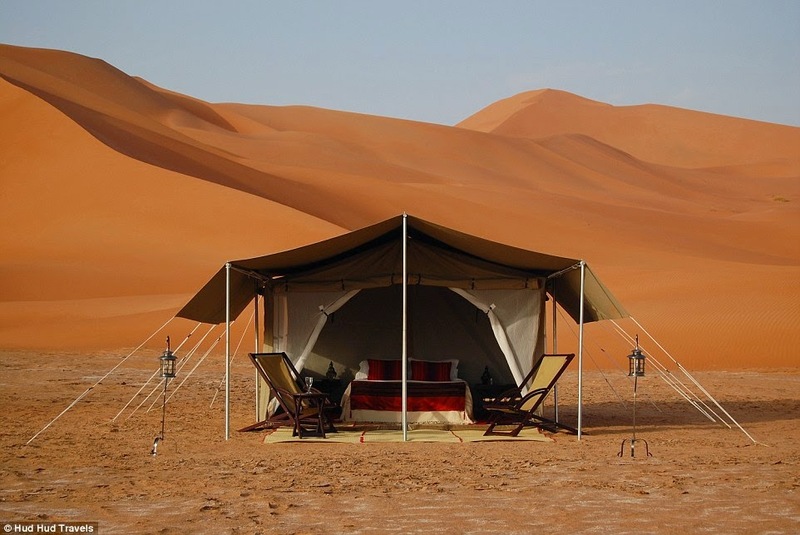 There’s an options available to customize an already developed itinerary or design a completely bespoke holiday from start to finish, guides will tailor the days and nights of your safari precisely to match your interests. 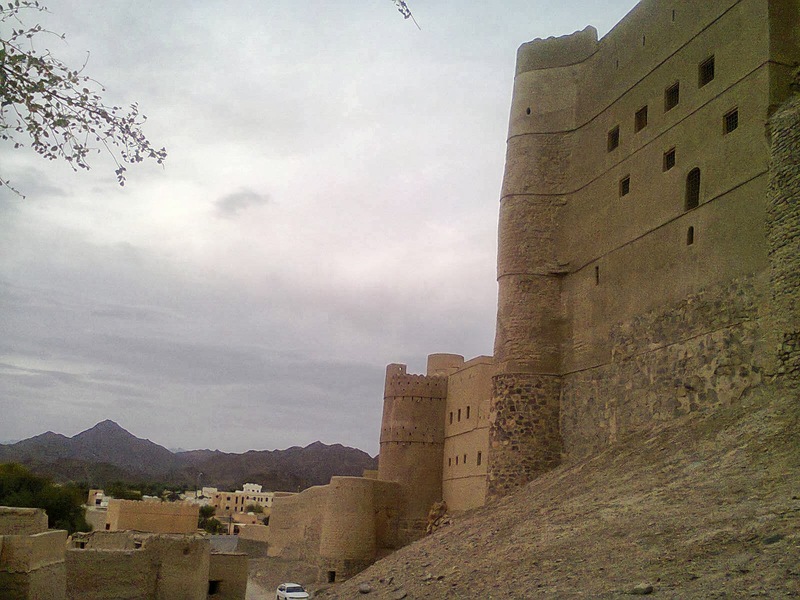 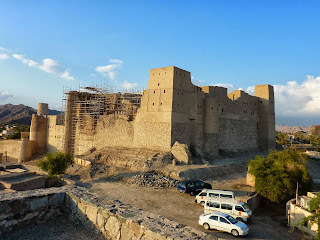 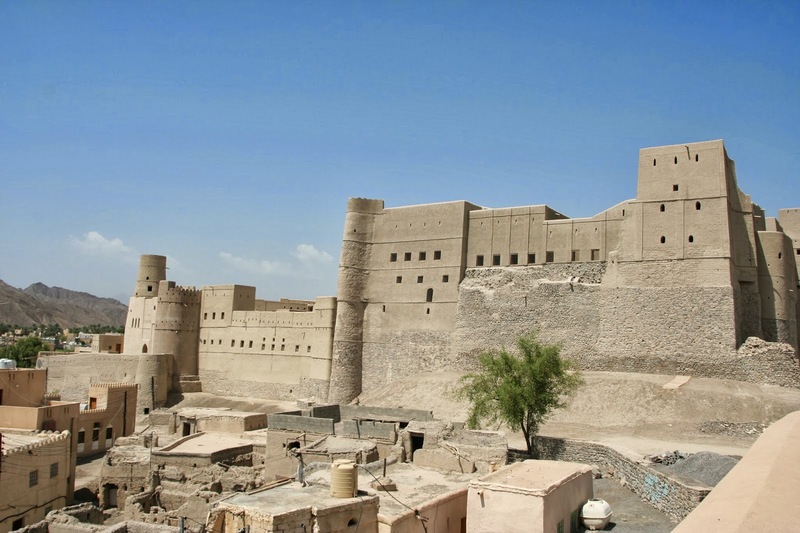 The Travelling Company name “Hud Hud” offers an adventure through northern Oman like no other, no matter if you like to shop in the souks, swim in a water filled ravine, (Called “Wadi”) or like to visit an ancient village. 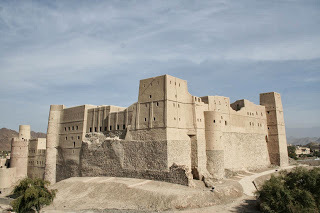 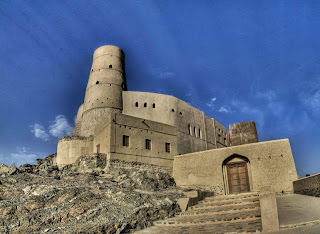 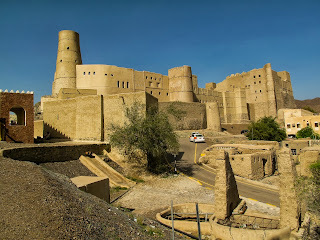 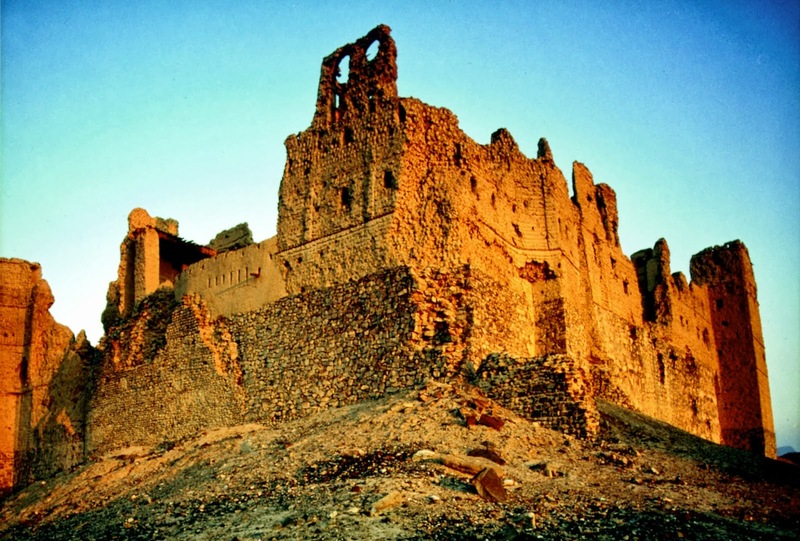 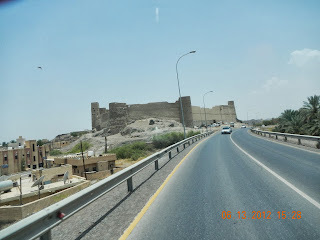 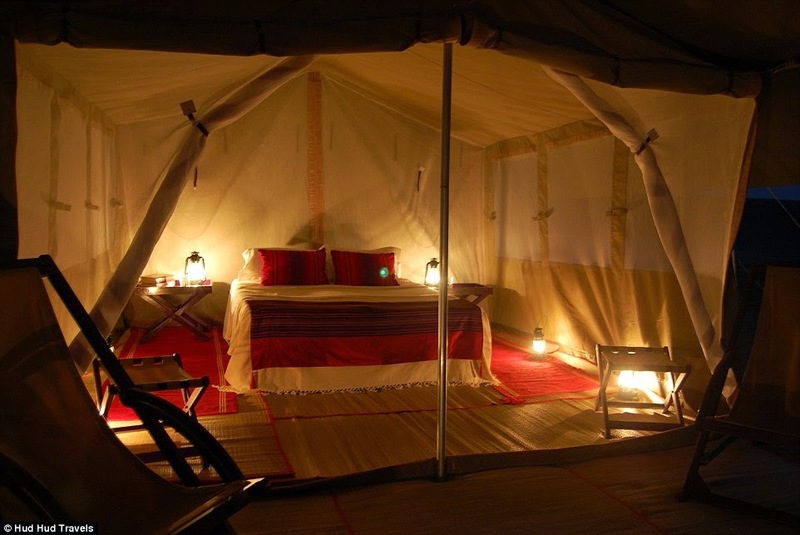 The suggested schedule is five to seven days including one night stay in the Wahiba Desert and one in Hajar Mountains. 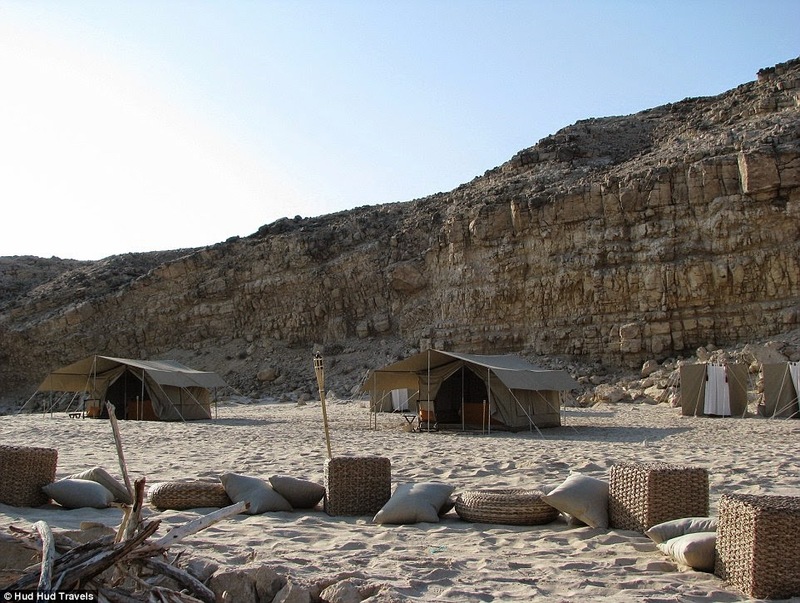 The Hud Hud spokeman said, we really love to develop very distinct itineraries that add in different modes of transport and different activities, as all of the camps are entirely private and mobile, and we can camp almost anywhere in Oman, literally making the entire country your playground. 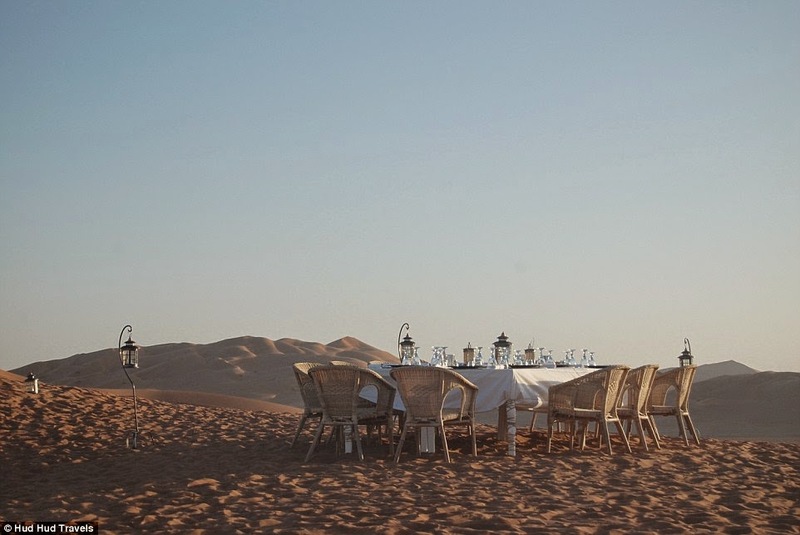 In past Hud Hud has organized so many different events, such as a village-wide Arabian horse show only for two guests and even a catered sushi dinner in the middle of the desert. 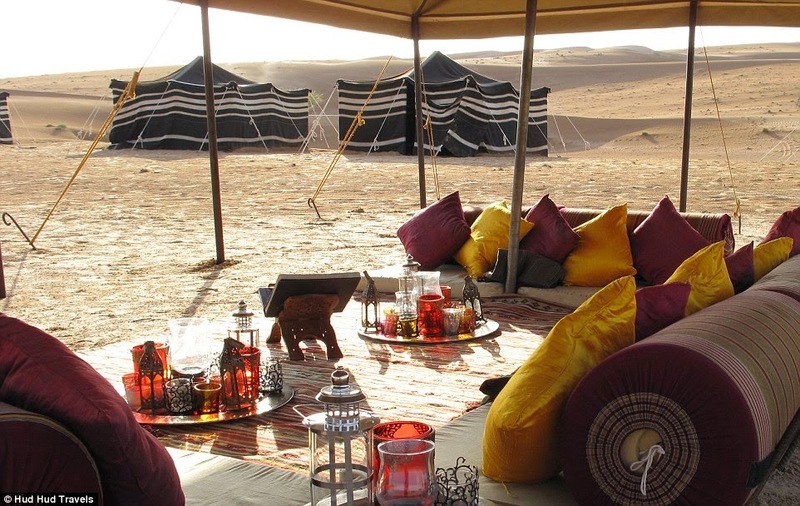 Moreover in the Wahiba Sands, visitors will sleep in reliable, handmade Bedouin tents complete with large beds and real mattresses, cotton bedding, Arabian rugs and throws and sophisticated furnishings. 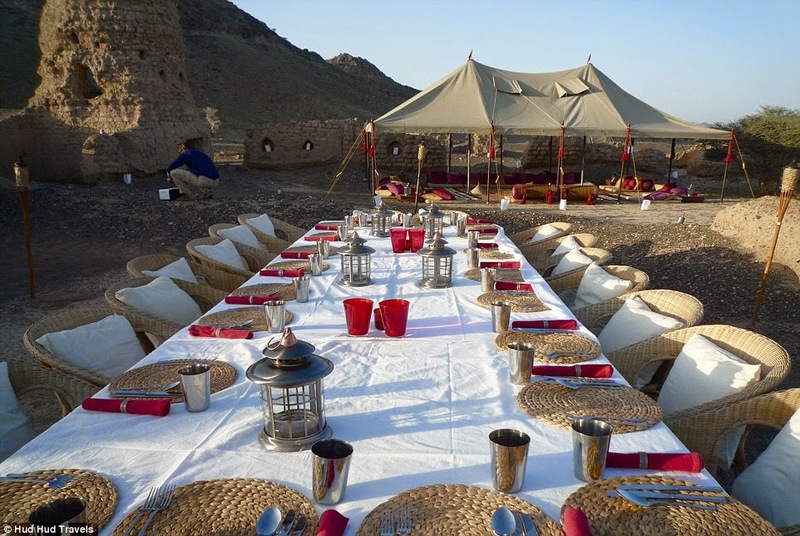 Nevertheless, there’s no electric light as we emphasis on preserving the natural atmosphere using only candles, oil lamps and fires. 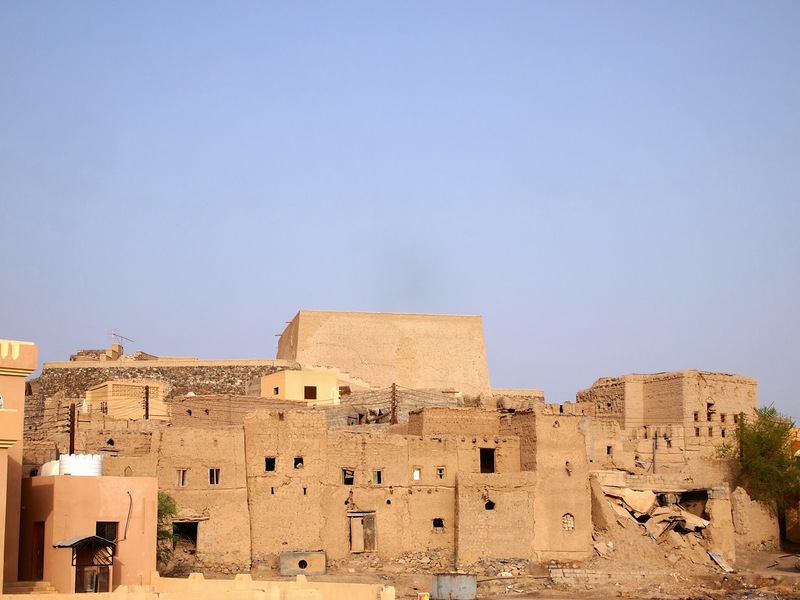 Once enjoys the desert, the tourists can also take day trips within the Sharqiya Region and experience traditional villages, old forts, castles and tombs, 'wadis' and canyons in the area for swimming, but the real attraction is the region's famous camel racing.